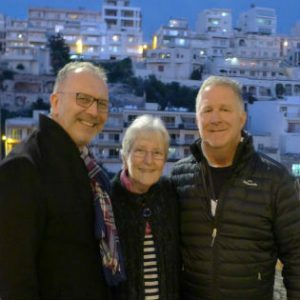 From February 7-10, 2018, Sr Elizabeth Dodds rsc attended the First International Conference on Catholic Religious Education in Schools at the Archbishop’s Seminary, Tal-Virtu, Rabat, Malta. 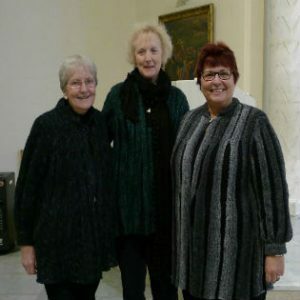 There in her capacity as a Commissioner of the National Catholic Education Commission (NCEC) and Chair of the Faith Formation and Religious Education Standing Committee of National Catholic Education Commission, Sr Elizabeth filed this report on the conference for the Sisters of Charity of Australia website on her return. 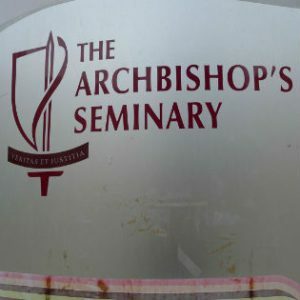 Eighty-six participants (twenty-one of whom were from Australia) gathered at the Archbishop’s Seminary on Wednesday, February 7. The participants were from twenty-one countries and five continents. All were enthusiastic scholars and experts in the field of religious education in Catholic schools. The chief organisers of the conference were Associate Professor Adrian-Mario Gellel from the University of Malta and Associate Professor Michael Buchanan PhD from Australian Catholic University, both vitally interested in the promotion of religious education in Catholic schools. From the outset Adrian and Michael invited us to the theme of the conference as one of journey and suggested that both experience and reflection were essential elements of this journey. The format of the conference consisted of sessions followed by either walking or bus journeys then evening prayer after which a keynote address was given. This was followed by a conference dinner which was a traditional Maltese meal. The days were long. Breakfast was served at 7.30 followed by prayer in the gathered community at 8.30. Sessions began at 9.00 a.m. and we often returned to the Seminary at 10.45 p.m. This I found quite rigorous, especially dealing with the cold and rain. There is no such thing as central heating in the Seminary! On each of the conference days, the participants gathered in the Seminary Chapel and were led in prayer by Dr Sr Rose Duffy csb from the Catholic Education Office Diocese of Sale, Victoria. There were 64 sessions presented and participants chose those they wished to attend. I attended the maximum number possible: 21 from a wide variety of topics and nationalities – Scotland, Ireland, Croatia, Brazil, Poland, United State of America, Malta, England, and Australia. Other sessions were led by experts from Germany, Latvia, the Netherlands, the Czech Republic, Lithuania, Canada, South Africa, China, Belgium, Italy, Singapore and Austria. Each session consisted of a twenty-minute presentation followed by ten minutes for questions and comments. The variety was quite outstanding and I was extremely enriched by many especially those who presented a contentious viewpoint. 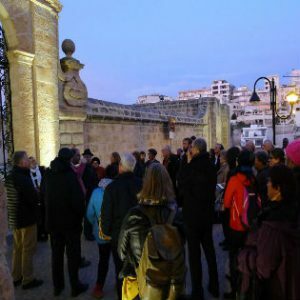 On the second night of the Conference evening prayer took place at the Sanctuary of Our Lady of Mellieħa, a Marian shrine in the village of Mellieħa which overlooks Mellieħa Bay. The sanctuary was blessed by Pope John Paul II during his visit to Malta in May 1990 and has been a place of pilgrimage since medieval times. Some actually believe that it was blessed by St Paul himself. 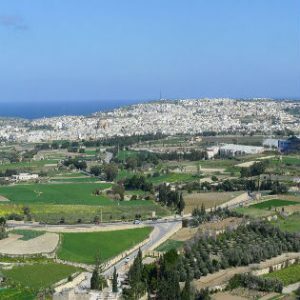 Mellieħa is situated on top of a hill, surrounded by fertile valleys providing beautiful panoramas and village scenes rarely seen in the Maltese islands. Our gathering here was awesome and for the first time I felt that the community of scholars was forming. We moved easily among each other, delighting in both old and new friendships. On Friday, February 9, we celebrated Mass at St Paul’s Church, Rabat presided over by H.E. Alessandro D’Errico, Apostolic Nuncio to Malta. This was followed by a reflection at St Paul’s Grotto. The grotto was visited by two Popes, Pope John Paul II in 1990 and Pope Benedict XVI in 2010. As stated above, the Prayer Rituals were prepared by Dr Sr Rose Duffy csb. Rose saw that scholars from various countries participated in each ritual. This for me indicated the universality of our Catholic faith and tradition. On the first day I led the Prayers of the Faithful. Each day I was struck quite forcibly by those who proclaimed the Word of God. On every occasion the Sacred Scripture was read slowly, deliberately and prayerfully. Feast of the Shipwreck of St Paul on February 10. Never had the life of the Sudanese patron saint nor the Shipwreck of St Paul, related in the Acts of the Apostles, chapter 27, meant so much to me. The Prayer Ritual at the National Shrine of Our Lady of Mellieħa where an old tradition maintains that St Luke painted the figure of Our Lady on the rock face of a natural cave in Mellieħa in the year 60AD, was particularly moving for me. In May, 2015 the Sanctuary of Our Lady of Mellieħa was recognised as the National Shrine of Our Lady of Malta by the Maltese Episcopal Conference. I doubt if I shall ever forget the conference participants singing the Salve Regina in full harmony, female and male voices, at the end of this ritual. There was one conference Eucharist on the Eve of the Feast of the Shipwreck of St Paul. This was celebrated in St Paul’s Church, Rabat by the Apostolic Nuncio. After this Eucharist, the Nuncio gathered us around him on the steps of the Sanctuary. He spoke to each of us and gave to each his blessing. I joined a true community of scholars, deeply respectful of each other, and at times, their differing viewpoints. This diverse group became a community who pondered and prayed together, shared faith, intellectual pursuit and meals and journeyed together for these days in February 2018 where friendship and scholarship were held as precious gifts. Indeed, the rain came and the weather was cold! The evening of Friday, February 9 and early morning February 10 were among the coldest and wettest I have experienced. 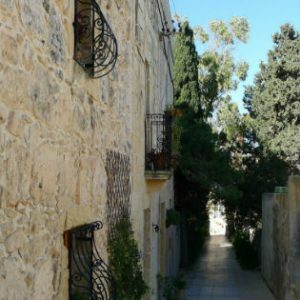 The wind was horrendous, the rain lashing and the roads on which we walked to journey to the University of Malta were like rivers! Hundreds of birds fell from the trees to their death from cold and wind – a sight I had never seen. The Seminary gardener told me that in the area through which we walked each day, he had gathered up more than 800 birds for burial. through every sky we fly. and especially in our last hours on earth.